The Coming Insurrection, a notorious 2007 ultra-left polemical tract written by a collective of French anti-state communists writing under the group-moniker The Invisible Committee, posits a conception of insurrection as the creation of new collective ontologies through acts of radical social rupture. Eschewing the orthodox Marxist line that revolution is something temporally removed from the present, towards which pro-revolutionaries must organize and work, The Invisible Committee’s use of insurrection claims it as an antagonistic challenge to late-capitalism firmly grounded in its own immediacy. Communism is therefore made immediate, and it is willed into being by insurrectionary acts of social rupture. While much has been written on the debt that The Invisible Committee owes to French strains of ultra-left anti-state communism, Michel Foucault, Gilles Deleuze, Giorgio Agamben, Situationism, and the Italian Autonomia movement of the 1970s, their implicit nod to the sociopolitical themes of music has been largely ignored. 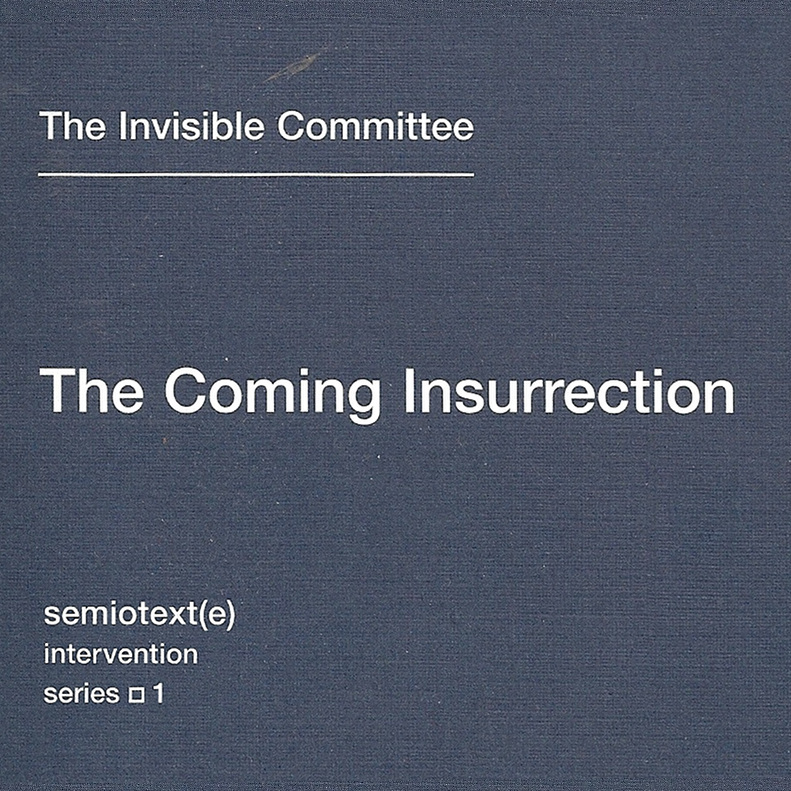 By subtly claiming that insurrection spreads by resonance and that such proliferation “takes the shape of a music,” The Invisible Committee allows for the interpretation of its “coming insurrection” as an inherently musical act. Using a historical reading of the shift from tonality to atonality in Western art music, as exemplified by Arnold Schoenberg, Alden Wood’s interpretation of The Coming Insurrection aims at imbuing its explicitly political premises with a more thorough exploration of its implicit musical qualities. Published in Interdisciplinary Humanities Vol. 30 pp. 57-65, 2013. Read this essay HERE, and The Coming Insurrection HERE. This entry was posted in art, music, philosophy, politics, violence and tagged #spectacle, alden wood, anarchism, arnold schoenberg, atonality, autonomia, Gilles Deleuze, giorgio agamben, Michel Foucault, situationism, the invisible committee, time. Bookmark the permalink.